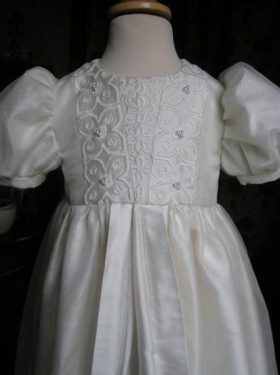 The ultimate challenge - the Orphelia Christening Gown. 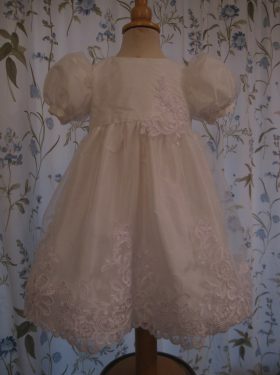 Converted from mum's Wedding Dress, this Baptims Gown took a lot of thought and time in the design process. 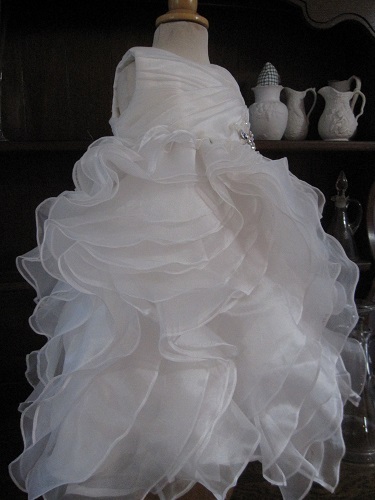 The Wedding Dress was so intricately made with its layers of organza that the design for the baptism gown really had to be similar. 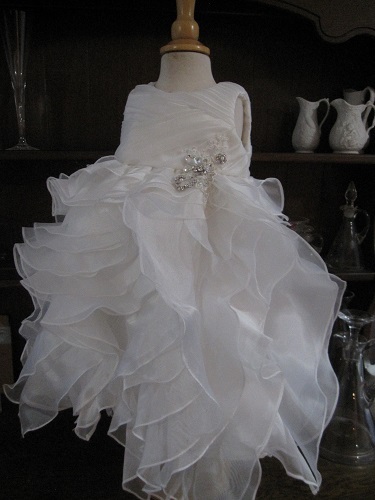 The construction of the gown was lengthy. 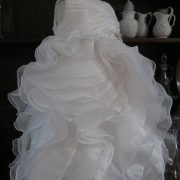 Each layer of organza had to be individually cut and then hemmed to the correct length. 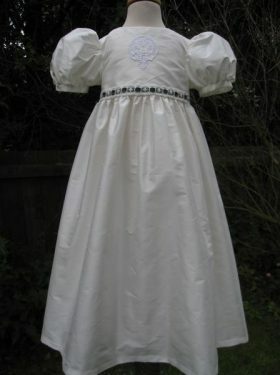 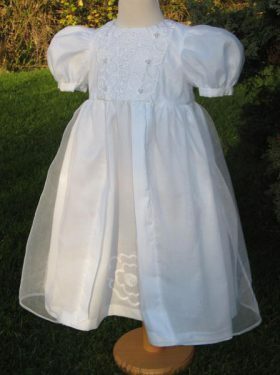 But we hope you will all agree this is a stunning Christening Gown created from an equally stunning Wedding Dress. 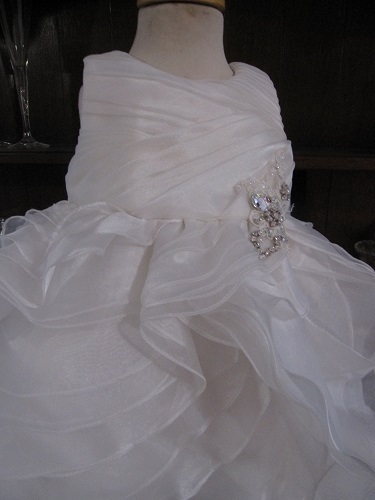 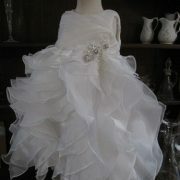 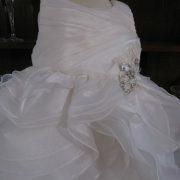 If you have an unusual style of Wedding Dress please contact us to discuss your dream Christening Gown.